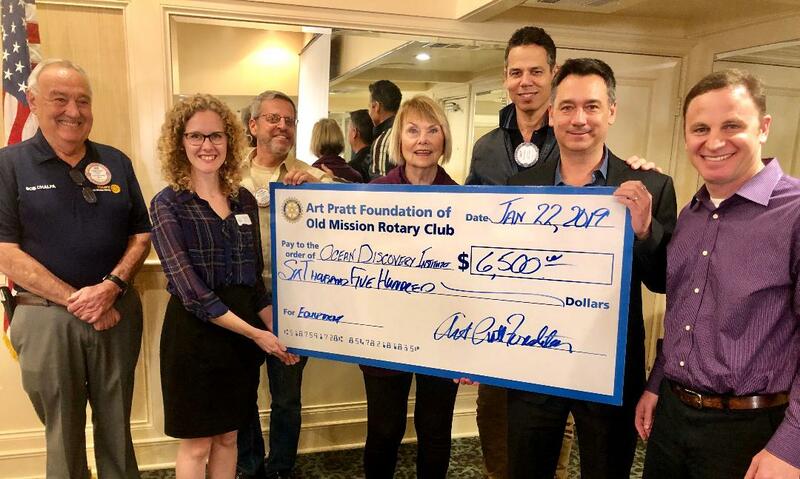 On January 22, 2019, the Art Pratt Foundation of Old Mission Rotary presented a grant of $6500 to the Ocean Discovery Institute (ODI). The ODI uses ocean science to empower young people from the underserved San Diego community of City Heights. They provide continuous science opportunities paired with mentoring to some 6000 students in San Diego. The Art Pratt grant will be used to purchase much needed replacement snorkeling gear for the program. Many of the kids from City Heights have never seen the Pacific Ocean and are now learning how to swim through the Ocean Discovery Institute.